There’s nothing better than a cup of cocoa by the fire on a cold evening. Our version of this chocolate treat combines the earthiness of chestnuts and port wine with the warmth of cinnamon, cayenne pepper, and dark chocolate. So, cozy up on the sofa, turn on a bit of jazz (holiday or otherwise), and watch the bare limbs of the trees sway in the icy breeze. Let Jack Frost even try to nip at your nose. Combine heavy cream and vanilla liqueur in a bowl. Whip until stiff peaks form. Heat milk in a saucepan until small bubbles form around the edges. Do not bring to a heavy boil. While waiting on the milk to warm, combine chocolate, cayenne pepper, and cinnamon in a bowl. Pour hot milk over chocolate mixture and stir until melted. Add dash of bitters and pour in chestnut-port syrup. 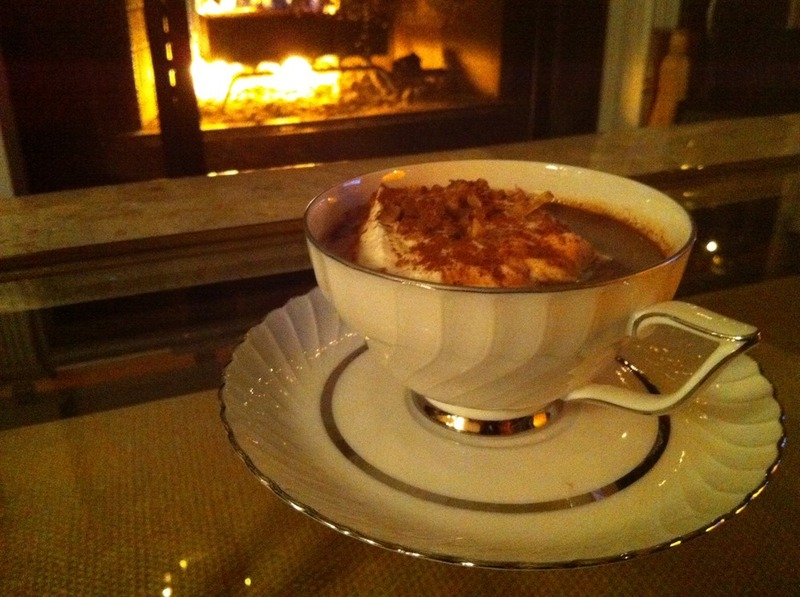 Pour hot chocolate into a cup, top with whipped cream, and top with chopped chestnuts and cinnamon. Combine all ingredients in a saucepan and boil until reduced to 1 cup. Strain out the chestnuts. Store syrup in a heat resistant container (I use a glass container with a stopper).